What has Whitey Herzog so flabbergasted? A) Nothing. He's just got an entire log of chewing tobacco in his mouth. B) Nothing. If you sat next to Jack Clark all game, you'd breathe through your mouth, too. C) Nothing. He just can't stop singing Journey's "Don't Stop Believing." 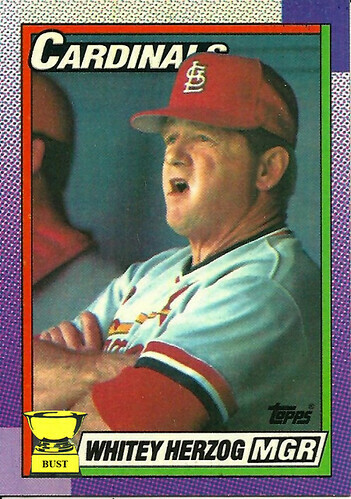 D) He just saw Willie McGee's face.